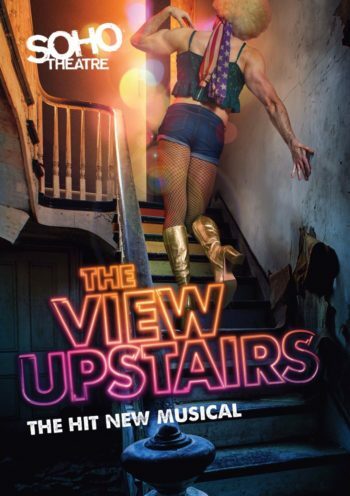 THE VIEW UPSTAIRS (a new LGBTQ+ musical) will play from 18 July to 31 August at Soho Theatre. Written by young up-and-coming artist Max Vernon and will be directed in London by Jonathan O’Boyle (Aspects of Love, Pippin, Hair), with choreography by Fabian Aloise (The Rink, Madagascar The Musical, Our House, Working). There will be a national press night on Tuesday 23 July. Casting is to be announced. The musical opens in present day when Wes, a young fashion designer buys an abandoned space, not realising this had been the UpStairs Lounge, a vibrant ’70s gay bar in the French Quarter of New Orleans, which, in 1973, was burned down in an arson attack, killing 32 people, making it the worst attack on the LGBTQ+ community until the 2016 shooting at The Pulse nightclub in Orlando. THE VIEW UPSTAIRS brings to life this forgotten community and takes the audience on an exhilarating journey of seduction and self-exploration, celebrating the lives of those forgotten, while featuring a soulful, rock and jazz score. THE VIEW UPSTAIRS opened to rave reviews Off-Broadway in 2017, where Entertainment Weekly described it as “a moving homage to LGBT culture, past and present”, and the musical gained support from some of the LGBTQ+ community’s biggest advocates, including RuPaul. The London production of the musical is one of ten that have been and are being mounted around the world between 2017 and 2019, and there is an original cast recording available on Broadway Records.